Molly is the name of a drug that is getting media attention because of recent deaths and overdoses associated with it. Molly is a name for a purified form of MDMA. MDMA is the main ingredient in ecstasy, a popular party drug that can produce a euphoric, energetic and confident high. 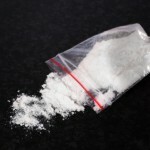 Ecstasy has been a popular drug used in the dance party scene since the 80’s and has seen a recent resurgence of popularity in its purified form called Molly. This new form of ecstasy has had a boost from the media and the name itself. Popular singers such as Miley Cyrus and Kanye West have sung about Molly and popularized it in dance culture. The name itself is misleading; Molly implies a benign friendliness, but that is not the case. This re-branding of ecstasy as Molly has lead to a resurgence of use in the dance party scene. Molly is considered to be harmless by its users. MDMA in it’s pure form is considered a recreational drug with very few fatalities. Far more people die from alcohol consumption each year than from MDMA derived drugs. The main dangers for most users of Molly are dehydration and overheating. Molly is marketed as a purer, safer form of ecstasy, but experts do not consider it to be safe. Molly is part stimulant and part hallucinogenic, which creates a feel-good high that lasts for a long time. However, experts consider it to be dangerous even in its purest form. Molly can cause the blood vessels in the heart and brain to constrict and can lead to a stroke or heart attack. Overdoses can also cause seizures, confusion, increased body temperatures and dehydration. Some victims arrive at medical centers comatose from taking Molly, and recent events have proven that it can be deadly. Molly, and ecstasy for that matter, are synthetic street drugs. You never know what you are truly getting. Unless you take it to a chemical lab, you have no idea what is in it. Molly can be cut with a variety of substances: cocaine, amphetamines, caffeine or a variety of other substances. Although dealers claim that it is pure, that is rarely the case. And you have no way of knowing what it is mixed with. The main danger with Molly is, you just don’t know what you are getting. From the perspective of addiction, Molly is a different story. Like any other drug, you can become addicted to Molly. From our perspective, Molly, just like any other drug, should be avoided, especially if you have problems with addiction. Life is best lived drug free. To learn more about Molly, take a look at some of the links below.